It was March 18, 1939 and Stanley Scurlock and his young son Rod were putting in horses when they noticed a large plane flying over Alder. Large planes weren’t a common occurrence back then and they looked up to watch. 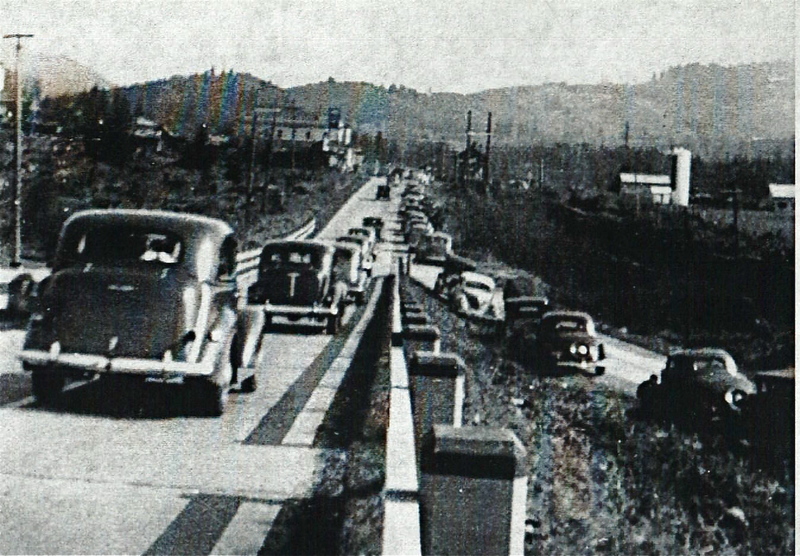 Those arriving to the 1939 crash found no one alive. Rod says he and his dad could see the plane crumpled and lying across their fence. They looked inside the plane, but found none of the 10 passengers alive. “Some of the men had been thrown out through the rent in the fuselage. I was one terrible sight,” says Rod. This wasn’t the plane’s first test flight. It had been up as many as 25 times. The cause of the crash was debated at the time. Some said pilot error, some said outside causes and others suspect a failed maneuver. 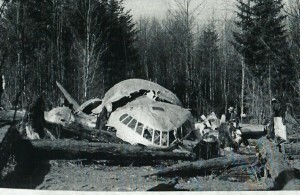 Inspections made at the crash site. 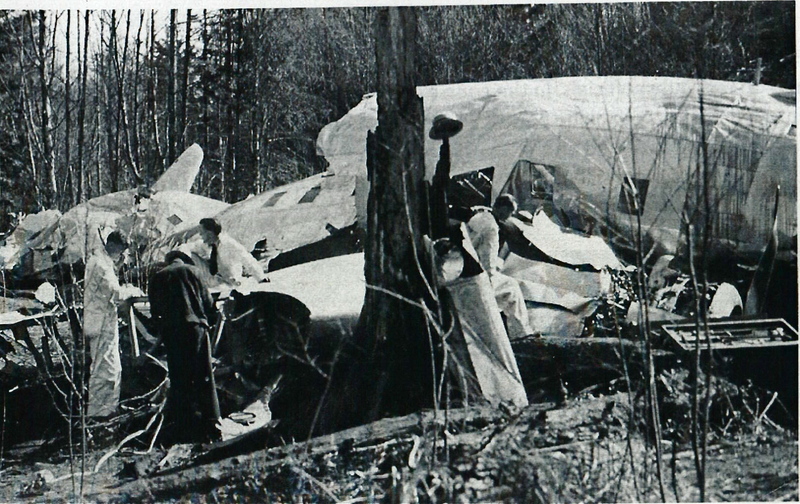 No matter what the cause, in 1939 it was the deadliest air disaster in Northwest history. 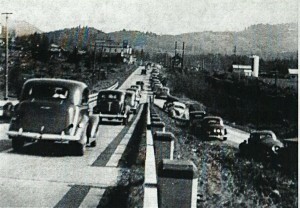 Highway 7 was packed with cars as people came to check out the crash site. If you were wondering what happened to the other nine Stratoliners, eight were purchased by airlines and the last became the personal property of Howard Hughes. You can find the last one on display at the Smithsonian. I don’t know that a dog actually went down with the plane. It could just be someone’s dog who came to view the site. in the plane crash theres a dog face. CREEPY I HAVE GOOSEBUMPS FROM SEEING THAT. My name is Charles McTee, 83 years old classmate of Rosalie graduated in 1947 from EHS. I appreciate what you have done in the last few weeks. 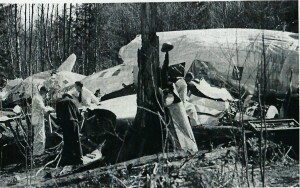 Regarding the Boeing Stratoliner which crashed in 1939 at Alder. I rode on one of the first Boeing 707 jets in 1960. The Stratoliner was the first pressurized airliner. It had four piston engines with propellers. 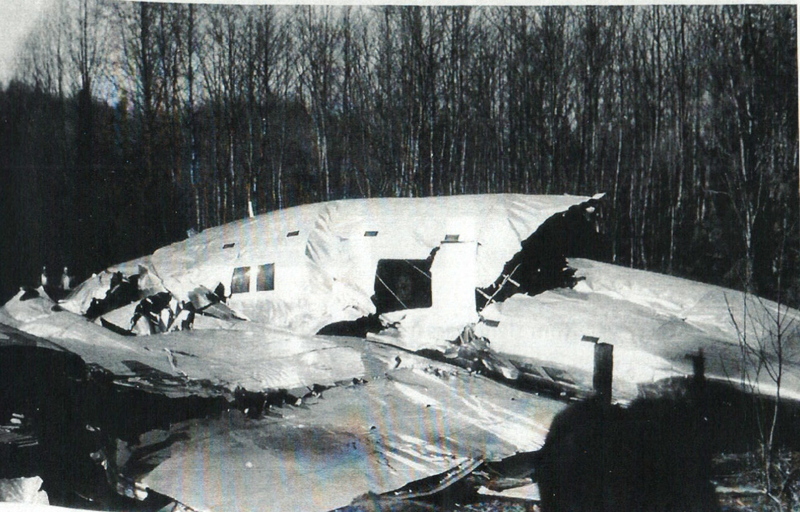 was four or more times bigger than the crashed Stratoliner. All these planes had four piston engines except only two on the DC3’s. On the fatal day, the Stratoliner flew over Eatonville very slowly and at low altitude. I had never seen a four engine plane over Eatonville before. By the time it got to Alder it was even lower because Alder is 400 feet higher than Eatonville. I saw the plane go into a stall and a flat spin just as Stan Scurlock described. When I got to the plane I looked inside and saw there were no seats except for the pilots who were still strapped in. There has been a lot written about why the Boeing pilots allowed foreigners to fly the plane at low altitude. We will never know. There wasn’t a dog in the crash that I know of. If there’s a dog, it probably belongs to someone there. I remember my Dad taking me to see this plane, we had never seen a plane up close before. How close did they let you get? Stanley was my grandfather and I had heard the story of this crash from him and my mother on a number of occasions, but it is quite something to see a picture of it. My mother kept one of the seats from the plane that her father had kept. She passed away in 2009 and we decided to give it to the Museum of Flight. It is just an aluminum frame at this point, the fabric having decayed over the years. Thanks for putting this up!